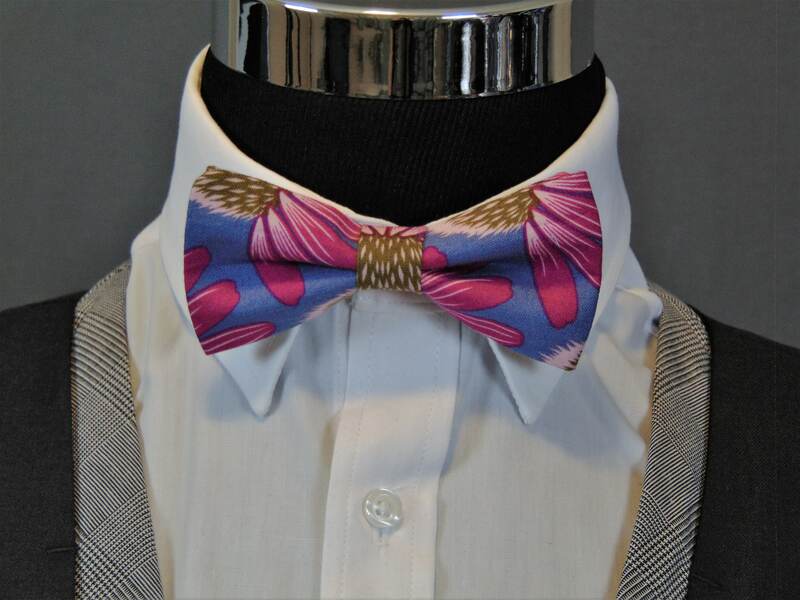 You will look calssy in this floral cotton bowtie. 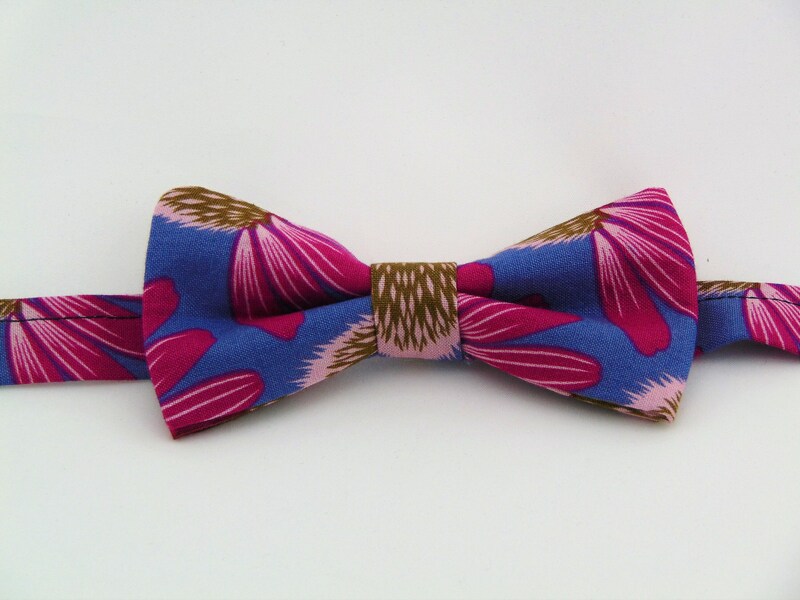 This bow tie floral features a light blue background with a floral motif. 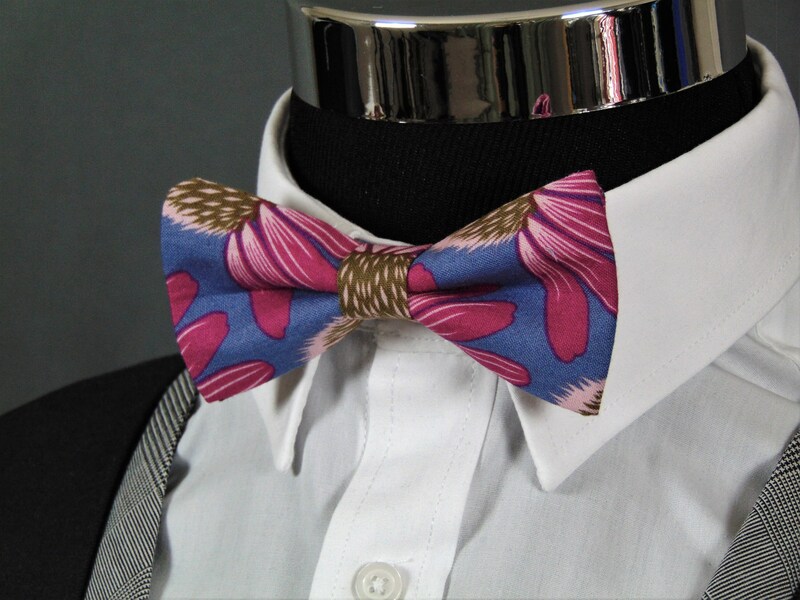 Colors include light blue, pink, white and beige.